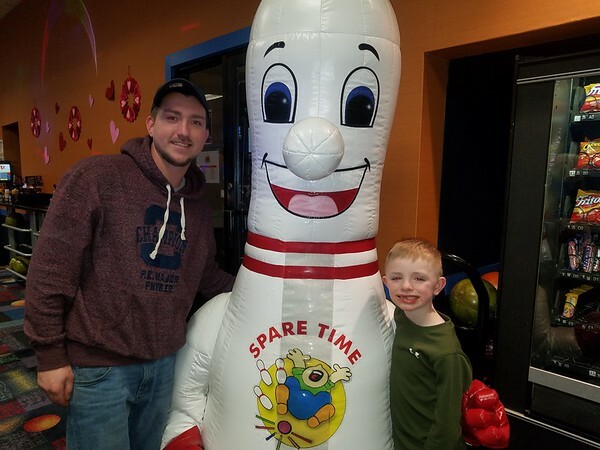 BRISTOL - Imagine Nation, A Museum Early Learning Center held its third annual Bowling Pins, Pizza and Prizes fundraiser Sunday at Spare Time Entertainment. 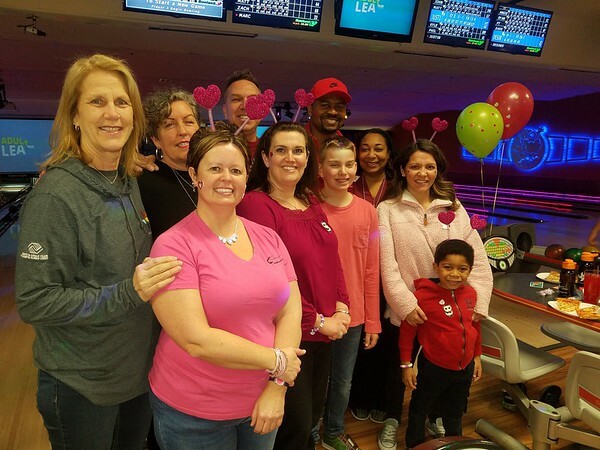 The bowling event is the main winter fundraising effort for Imagine Nation, which is a division of the Boys & Girls Club of Bristol Family Center. The funds will be used to support education, materials and special programs. The goal for the event was to raise $6,000, Heather Grance, marketing manager at Imagine Nation, said. The event took place from 11 a.m. to 1 p.m.
“It looks like we are on track to surpass that goal so we are really excited,” Grance said around noon. If the goal is surpassed, Sunday’s fundraiser would be the organization’s biggest bowling event in its three years, Grance said. “It does look like we have more children and families participating this year and that’s something I’m really excited to see,” Grance said. The event also included a raffle with 12 prizes that were donated by organizations in the local community. “We are really humbled by the support we have received both through our bowling teams and from our raffle sponsors,” Grance said. Last year, the organization raised more than $300 in the raffle. Grance said it looked like they were on track to surpass that number on Sunday as well. Organizations throughout the Greater Bristol community contributed to the fundraising efforts by sponsoring a lane. Those organizations brought their employees and families to take part in the event. Posner, Henderson & Goslee Dentistry have been the lead sponsors of the event for the second year in a row. Marc Henderson and Matt Goslee said they are happy to be able to support the event. “We enjoy the Imagine Nation event, it’s a good charity event in the Bristol area,” Henderson said. Doreen Stickney, development and marketing director of Imagine Nation, said that having the community together was one of the things she enjoyed the most during the event. “We are really appreciative of their support to Imagine Nation and all of the education programs that we provide for the thousands of children and families throughout the year,” Stickney said. Spare Time Entertainment has partnered with Imagine Nation all three years to help make the event possible. This year, Spare Time also made donations to the organization. Imagine Nation is a museum and learning school that supports children and families in the Bristol area. The organization has 126 children who attend their pre-school classrooms every year. Imagine Nation also has 12 interactive Museum Studios featuring STEAM based initiatives and educational workshops. For more information about Imagine Nation, A Museum Early Learning Center, call 860-540-3160. Posted in The Bristol Press, Bristol on Sunday, 10 February 2019 20:18. Updated: Sunday, 10 February 2019 20:20.